Monarch Funding Corp. is an independent family owned and operated Mortgage Banker dedicated to helping customers obtain home loan financing. As a direct lender in business for years, we have worked through the ups and downs of the real estate market. Our in-house underwriting, processing, document preparation, and funding will ensure your timelines are met. 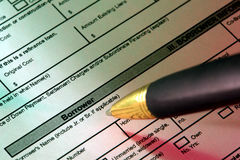 Whether purchasing or refinancing, we have a variety of loan programs that can help you achieve your goals. Our team of dedicated and experienced loan officers will listen to your needs and find the loan program that’s right for you. Your happiness is what keeps us in business. Without advertising, we rely on your repeat business and referrals. You are more than just a number at Monarch Funding Corp. Call today to see how we can help you. We look forward to exceeding your expectations. Home Purchase Loans of 1-4 unit residential properties.